Shakhtar maintains leadership in the U21 League: the Donetsk team has 10 points with goal difference being 14-2. In the last round the Pitmen played a draw with Karpaty in Lviv (1-1). Having conceded a penalty shot, Valeriy Kriventsov's squad created a dozen chances, but only scored once - Mykyta Adamenko distinguished himself. After four rounds Dnipro are 4th in the standings. Oleksandr Poklonskyi's squad earned seven points - two wins, a draw and a loss. Last weekend the Dnipro team defeated Vorskla in a home game (2-0) thanks to the goals by Yevhen Bokhashvili and Vladyslav Supriaha. The Ukrainian national U18 team is participating in a tournament which is currently underway in the Czech Republic. Dnipro has delegated a group of players born in 1999 and 2000, which are now risking to miss the match against the Pitmen (Andrii Lunin, Timofei Sukhar, Oleksandr Safronov, Yaroslav Homenko, and Vladyslav Supriaha). The Donetsk club's players called to the junior team this season are playing for Shakhtar U19. Two years ago, Dnipro became the winners of the U21 League and last season they finished third. Dmytro Mikhailenko who headed the reserve team was promoted to lead the first team of the Blue-and-Whites this season, which includes the leading players of the U21 team. In the Youth and reserve team league the opponents held 24 matches. Shakhtar has 11 wins, 6 games were drawn, and Dnipro won 7 times. The goal difference is 38-28 for the Pitmen. 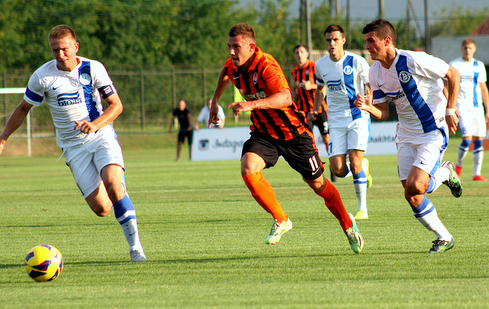 In the 2015/16 season, the Orange-and-Blacks beat the Dnipro team in Shchaslyve: Andrii Boiarchuk scored in the 1st minute, and Serhii Grin scored on the 60th (2-0). The March encounter at an away game against Dnipro ended in a 0-0 draw. The top scorers of the U21 championship are Shakhtar players Giorgi Arabidze and Mykyta Adamenko with four goals each with the Ukrainian midfielder having scored in each of the four games of the season. Dnipro's top scorers are Yevhen Bokhashvili and Yehor Nazarin (three goals each). Shakhtar midfielder Oleksandr Mihunov played for Dnipro's reserve team from 2010 to 2015 (95 games, 3 goals) and appeared in three games for the first team. 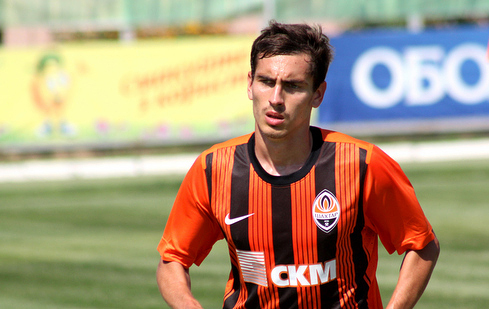 And the Pitmen's defender Illia Ichuaidze is a native of Dnipro city. This season, Shakhtar U21 have not conceded in a home game, scoring 11 goals against their opponents (Zirka and Oleksandriya).